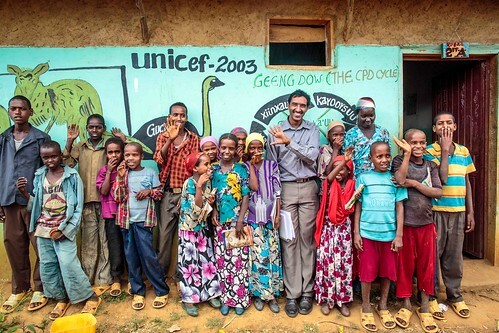 As we rapidly approach the deadline of 2015 for reporting our progress against the Millennium Development Goals (MDGs), it is already clear that Ethiopia will have much success to report and an inspiring story to tell. Indeed most of the MDG targets will be not only met, but surpassed by a good distance, well ahead of time. And yet the median age of marriage for girls is still 16.5 years. Indeed it is no coincidence that those MDGs that have been lagging the furthest behind are those to do with women and girls: MDG three on women’s empowerment and MDG five on maternal mortality. 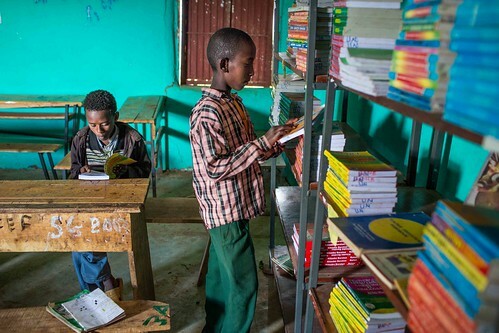 A study commissioned by Girl Hub Ethiopia, a UK Department for International Development (DFID) project, found that if every Ethiopian girl who drops out of school was instead able to finish her education it would add US$4 billion to the country’s economy over the course of her lifetime. As the country approaches a period of demographic dividend, with fewer young dependents, it has a major opportunity to benefit from the kind of economic growth we saw from the Asian Tiger economies. 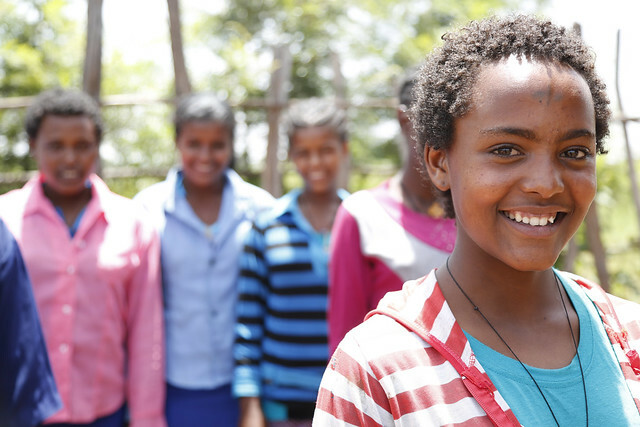 As the evidence shows, in the context of the next Growth and Transformation Plan, it will be impossible for Ethiopia to continue its economic and development progress at the same rate without addressing the issue of girls’ and women’s rights head on. Acknowledging this, the Government of Ethiopia is, of course, already taking bold steps. At the Girl Summit – jointly hosted by the UK government and UNICEF in London in July 2014 – H.E. 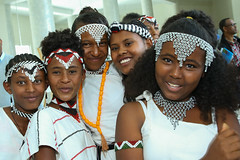 Demeke Mekonnen, Deputy PM, made a ground-breaking commitment on behalf of the Government of Ethiopia to eradicate child, early and forced marriage, and female genital mutilation/cutting (FGM/C) by 2025. Much work has already gone into putting this commitment into action, but there are five areas that DFID and UNICEF believe are critical to any successful plan. First, keeping girls in school, particularly through transition to secondary education and ensuring high quality basic education. At the same time, we need to ensure zero tolerance for violence within the school environment and ensure they have the right facilities for girls such as adequate sanitation. In the Somali region of Ethiopia – where many aspects of gender inequality are particularly pronounced – DFID and UNICEF are jointly supporting a multi-sectoral Peace and Development Programme that will improve girls’ and women’s access to justice by establishing legal aid services and support services for female victims of violence. Secondly, raising national rates of birth registration from the current level of less than 10 per cent to more than 90 per cent by 2020. Proof of age will assist in implementing and enforcing laws on child marriage and will also have positive knock-on effects on trafficking and illegal labour migration, for example. 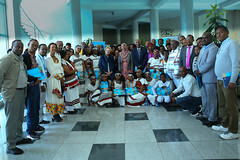 UNICEF supports the government of Ethiopia in establishing a vital event registration system (for births, deaths and marriages) in the country through technical and financial support. The support has allowed the enactment of a proclamation on vital events and the establishment of a national agency. Currently, regional laws are being adopted, regional bodies established, staff recruited and capacities developed. Thirdly, changing social norms through an evidence-based, regional approach that is cognizant of and uses local languages and customs. 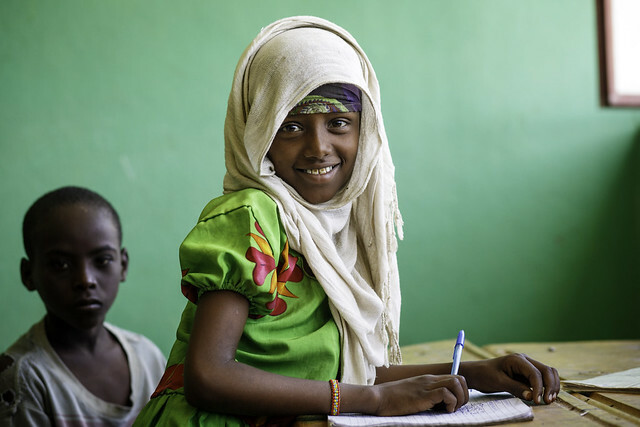 DFID is supporting the Finote Hiwot project in Amhara to reduce child marriage through changing social norms and providing economic incentives for girls to stay in school. Fourthly, changing public perceptions through multi-media campaigns that highlight positive role models to enable girls’ and young women’s empowerment. For example, Girl Hub Ethiopia’s Yegna radio programme uses both male and female role models to influence attitudes and behaviours towards girls. It broadcasts to more than five million people in Addis Ababa and the Amhara region and early data shows that 63 per cent of listeners say the programme made them think differently about issues in girls’ lives such as child marriage and gender-based violence. 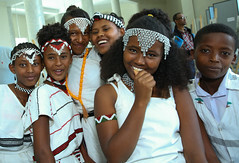 The Ministry of Women, Children and Youth Affairs recently hosted a Girl Summit follow-up meeting to discuss how members of the National Alliance to End Child Marriage and the National FGM Network could help deliver the commitments Ethiopia made at the Summit. 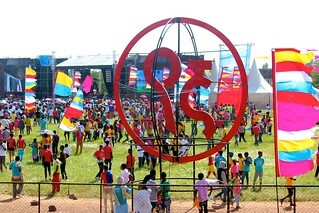 A 12-month communication campaign plan will be launched in the coming weeks. Finally, contributing to the national, regional and global evidence and evaluation database is central to realising the commitment made at the Girl Summit. The National Alliance to End Child Marriage and the National FGM Network are improving data gathering and knowledge sharing and fostering innovation. We must ensure that relevant indicators on child marriage and FGM/C are included in next year’s Demographic Health Survey. Of course there is a great deal to be optimistic about as we embark on this ambitious journey together. The Government of Ethiopia has demonstrated extraordinary commitment and we look for their future leadership by integrating girl issues into the GTP 2 and future sector policies. We are confident that just as we do now in the social sector, in the future we will view Ethiopia as a model for delivering real change for girls and women. With roughly 700 days left until the target date for the Millennium Development Goals, the Secretary-General, along with the two co-chairs and several members of his MDG Advocacy Group, will participate in a moderated luncheon discussion to accelerate progress on the MDGs focusing on girls as a critical investment. The Secretary-General and the two co-Chairs, President Paul Kagame of Rwanda and Prime Minster Erna Solberg of Norway, will open the programme and Hannah Godefa, a 16-year old UNICEF National Ambassador for Ethiopia and Sumaya Saluja, a member of the Global Education First Initiative’s Youth Advocacy Group, will lead an inter-generational dialogue with the Advocates. The programme will include interventions from other governments, businesses and media leaders, including Tina Brown. 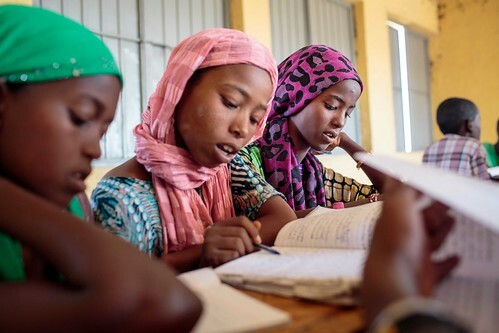 The growing momentum around girls as catalysts for development is undeniable. Malala Yousafzai, whose voice resonated around the world as a champion for girls’ education, has helped advance the importance of addressing this often overlooked issue in philanthropic and core business strategies. Hannah Godefa, UNICEF Ethiopia National Goodwill Ambassador, will participate at the World Economic Forum event focusing on girls education. Hannah impressed many when she made a speech at the highly successful International Day of the Girl Child at UNICEF Head Quarters in October last year on “Innovating for Girls’ Education” and when she moderated the event where Katy Perry was named UNICEF’s newest Goodwill Ambassador. Read biography of Hannah Godefa. Investing in Girls’ Empowerment for MDG Acceleration session at the World Economic Forum will highlight specific approaches that enable girls and women worldwide to learn, earn, thrive, and control their own destinies. The focus will be on replicating and scaling-up successful quality programmes, promoting innovative approaches including quick adoption of broadband and ICTs for education and health, and encouraging collaboration to ensure the best outcomes for girls and their communities.